MADE FOR BABIES. LOVED BY PARENTS. Graco provides what babies need by providing what parents need. We provide a system of innovative and helpful products because when parents are supported and feel safe, when their needs are met, they can focus on the children who need them. Innovation Designed Around Safety & Durability. 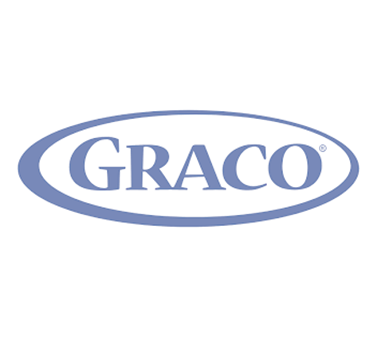 A 60 year rich heritage makes Graco one of the leading baby product providers in the world. In 1953, Graco was an eleven-year-old company, then called Graco Metal Products. Rex Thomas, an engineer, was tasked to come up with new ideas for the company. After watching his wife rock their baby on their home’s front porch, he had one. Together with David Saint, another Graco engineer and father of nine, he sought to answer the question we at Graco still ask every day: how do we make parenting easier with intuitive, long-lasting, safe solutions? Eighteen months later, the world’s first automatic baby swing, the Swyngomatic, was born. No one could have imagined the success. The company generously estimated they’d sell 10,000 Swyngomatics. Over the next few years they sold millions, quickly transforming Graco into one of the world’s leading manufacturers of baby products. We quickly established a tradition by continuing to set industry standards. In 1987, Nate Saint, son of the Swyngomatic inventor, launched Graco’s famous line of Pack N’ Play Portable Playards. Today, Pack N’ Play Playards can be found in millions of homes across North America. We continuously innovate new products and are committed to designing top-quality products. With every new product, we raise the bar and pioneer innovation. We strive to assist parents and make parenting easier for all, such as when we introduced the Travel System, so that mum has the ability to quickly click a car seat in to and out of a pushchair. The Travel System conveniently allows parents to move a sleeping infant from house to car to stroller, all without waking your little one. Many innovations have followed over the years in the form of multi-group, multi-way child safety seats and many mode in home products. Explore all Graco’s latest and greatest products here. Each of our products are rigorously tested to meet or exceed standards to protect your child. As a parent, the big wide world can sometimes feel like one big challenge. But that’s why we’re here. Because our products are built to make everyday as safe for you and your baby as possible. Whether you’re taking your little ones on an adventure or keeping them comfortable at home, with us by your side, you’ll have more time to turn worry to wonder and truly enjoy the things that matter. Knowing what’s small is huge, we’re here to help all along the way. We know that the smallest things can make the biggest difference in taking care of your baby. That’s why everything we design is intuitive and easy to operate, giving you more time to focus on what really matters most, your little one. Our products are built to assist and enhance the parenting experience, lending every parent a helping hand and peace of mind.